Every day, our Michigan child lead poisoning lawyers work hard to ensure our clients receive the highest quality treatment and legal representation. 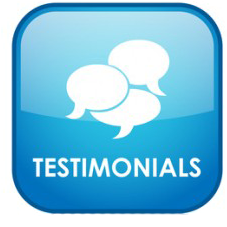 On the page below, you will find testimonials from real clients as to why Buckfire & Buckfire, P.C. is the best law firm to handle your lead poisoning case. Find out why we are the most trusted personal injury law firm in Michigan! As always, if you have a child who has been lead poisoned we encourage you to contact us immediately to see if you are eligible for compensation. Call us any time at (800) 606-1717 and an attorney will answer your questions. If you have a case, we will represent you under our No Fee Promise, which means you will not pay anything until you receive your settlement check! The health department inspector told me that Larry Buckfire was the best lead poisoning lawyer in Michigan. His greatest concern was the future financial security of my child and I am grateful for his efforts. When my child was diagnosed with lead poisoning because my landlord refused to paint my apartment, I didn’t know where to turn. My doctor and the health department nurse told me that my son would have learning and behavioral problems when he got older because of the lead poisoning. The health department inspector told me that Larry Buckfire was the best lead poisoning lawyer in Michigan. I called him and he filed a lawsuit against my former landlord. Not only did he get a great settlement for my son, but he set up a college trust fund for him with a portion of the settlement. His greatest concern was the future financial security of my child and I am grateful for his efforts. Written by: Carol R.